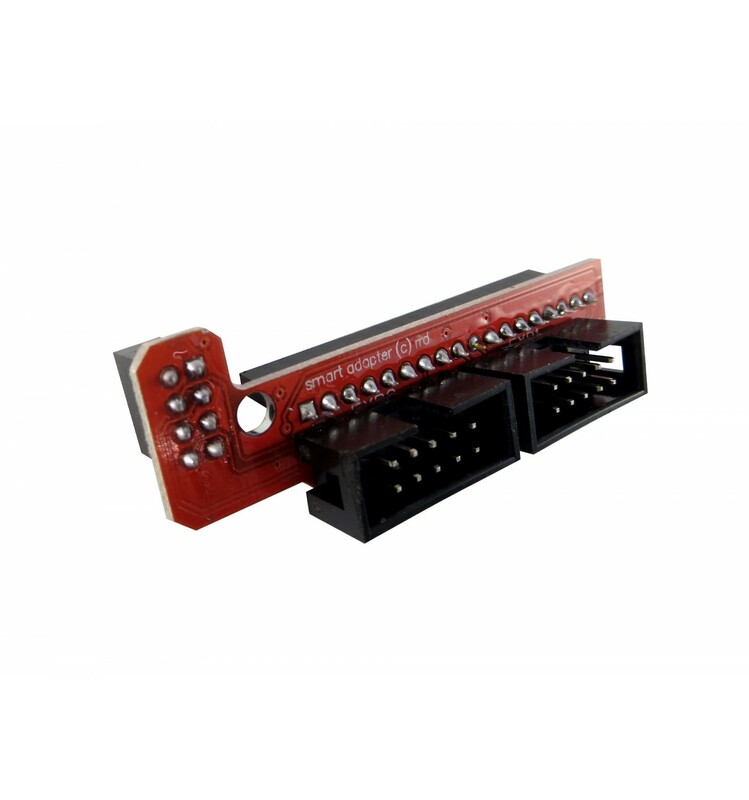 This RAMPS LCD Interface Connector is stocked as a replacement part, and connects the RAMPS 1.4 Arduino Shield to LCD interfaces like the SD/LCD Graphical Control Panel and Mini SD/LCD Control Panel. This type of connector is typically packaged with control panels, but is also stocked separately for times in which just the adaptor needs replacing. The RAMPS LCD Interface Connector is simple to install as you can just plug it directly into the RAMPS 1.4 board, and then plug the Interface’s ribbons into the top. This handles all of the necessary data transfer between the interface and the board, and ensures that the interface receives all of the necessary power to run the various functions. The components are also soldered on firmly, to ensure very little wiggle, reducing any chances of damage from loose movement. The RAMPS LCD Replacement Interface Connector is designed to be used with RAMPS 1.4 Arduino Shields to connect graphical interfaces to 3D Printers and remove the need for connected computers or laptops. However, this part is stocked as a simple replacement Smart Adaptor, and doesn’t include the ribbon strip cables or an interface. So, if your adaptor is currently broken and you’re looking to fix the problem, this product is an inexpensive but invaluable investment to get your 3D Printer running independently again.